Picking up a travel rewards credit card may seem like a good idea, but what happens when you can’t afford to cash in your points and miles? Maybe you thought you’d be able to travel soon, but fell on hard times. Or perhaps you decided to give credit card rewards a try only to wind up in over your head with credit card debt. This kind of thing really does happen all the time — even to people who don’t expect it. After all, it doesn’t take much to throw your budget out of whack if you lose your job, get sick or injured, experience a loss in income, or face some expensive bills you hadn’t planned on or prepare for. And, you shouldn’t be too hard on yourself. Sometimes travel just isn’t in the cards for various reasons, whether the money isn’t there or your health isn’t as good as it should be. But, what should you do with those points and miles you accrued? The good news is, you may have more options than you realize. Here are a few ways to benefit when you have travel rewards you can’t really use. Since different rewards currencies let you redeem points in different ways, it’s important to check your credit card’s rewards program details to see what options may be available. You might be surprised at what you find since many currencies — and even airline miles — can be redeemed for awards that have nothing to do with travel. For example, did you know that you can redeem Southwest Rapid Rewards points for gift cards and even merchandise? As of this writing, gift card options include stores like TJ Maxx and HomeGoods, Applebee’s, Best Buy, and more. You can even cash in points for electronics and clothing. As of today’s writing, for example, an Xbox One X Game Bundle costs 75,161 Southwest Rapid Rewards points and designer purchases start at around 6,000 points each. On the Chase Ultimate Rewards portal, you can get gift cards to Target and other major retailers at a rate of 1 cent per point (so a $50 gift card costs 5,000 points). You won’t get the 25% bump in value you’d earn if you redeemed those points to book travel, but it could take a big bite out of next season’s holiday shopping bill. Plenty of other rewards programs let you cash in for gift cards and merchandise, including (but not limited to) United MileagePlus, American Express Membership Rewards, Citi ThankYou points, and Delta SkyMiles. Make sure to check online to see all the different ways you can cash in your points for anything other than travel. Keep in mind, however, that some loyalty programs don’t offer the best redemption rates when you redeem for gift cards or merchandise. Getting something for your points is still better than letting them expire, but you may get less than one cent per point in value with this strategy. Another option is to redeem points for travel in a way that won’t break the bank. Instead of cashing in points for a pricey international trip or vacation around the country, redeem points for inexpensive hotel stays close to home so you can better control your costs. Can’t afford a trip to Disney World this year? That’s perfectly okay, and your kids may not even care. For a quick and easy vacation, you can always cash in points for an inexpensive hotel stay within driving distance with a pool on site. Most kids are happy to swim anywhere, and they won’t know how much you paid. To stretch your budget further, pack a picnic lunch and dinner in a cooler and redeem points for a stay at a Holiday Inn or other family-friendly hotel that includes free breakfast. While you can use hotel points for these stays, you can frequently find Holiday Inns, Hyatt Place, and Hilton Garden Inns in the Chase Ultimate Rewards portal for less than 10,000 points per night. For some bonus value, redeem points for a hotel stay near a state or national park or some other destination that’s affordable and fun for the entire family. Also remember that some loyalty programs allow you to cash in points and miles for statement credits — and your options extend well beyond simple cash-back credit cards. While airline miles and hotel points typically cannot be used for statement credits, flexible travel points normally can. Chase Ultimate Rewards, Citi ThankYou Rewards, and American Express Membership Rewards points are examples of programs that let you convert points to statement credits or cash back. If you find that your program offers this option, the number of ways you can use your points to your advantage is nearly endless. You could cash in points to cover your electric bill, your groceries for the month, or any other expense you can charge to a credit card. Like gift cards and merchandise, however, some rewards programs offer less than one cent per point in value when you redeem for statement credits. American Express Membership Rewards are only worth around 0.6 cent apiece when you redeem them for a statement credit, for example. Also remember that you can save some types of points and miles for the future if you want, including points and miles that never expire. You can keep Chase Ultimate Rewards points alive forever provided you maintain a Chase credit card, for example. Delta Sky Miles also never expire, nor do JetBlue miles. You can also keep American Express Membership Rewards points alive provided you keep a card that earns them. The bottom line: You can try to cash in your points for gift cards, merchandise, or travel close to home, but you can also save them for later on. The only real downside is that, given the constant devaluations of rewards points, your point stash will probably be worth less and less with each passing year. Also make sure you understand your rewards program’s expiration policy, so you don’t let your points lapse by accident. If you have points but can’t afford to travel, you may have more options than you think. It’s possible you could redeem your rewards for gift cards, statement credits, or merchandise that you pick out yourself. Plus, you could always consider cashing in points for an inexpensive hotel stay or staycation closer to home. Make sure to take a close look at your credit card’s rewards programs to see which options you have at your disposal, if any. With some research and creativity, you could score something you’ve always wanted. And, don’t worry; travel will always be there when you’re ready. 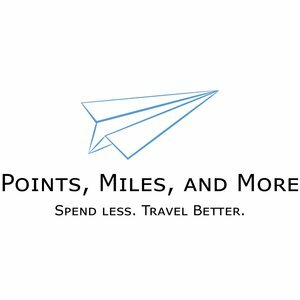 The post The Best Ways to Redeem Points and Miles When You Can’t Afford to Travel appeared first on The Simple Dollar. What would you do with Unlimited Money?